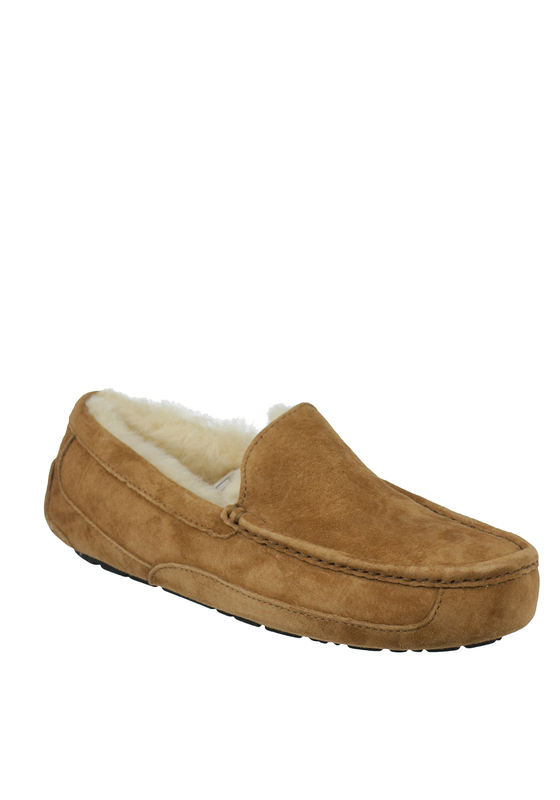 Ugg Australia present their Ascot slippers which are crafted from soft suede with a warm and cosy sheepskin lining. A great choice for relaxing in the morning or evenings. Featuring Ugg Australia branding on the back of the foot and a durable rubber sole.